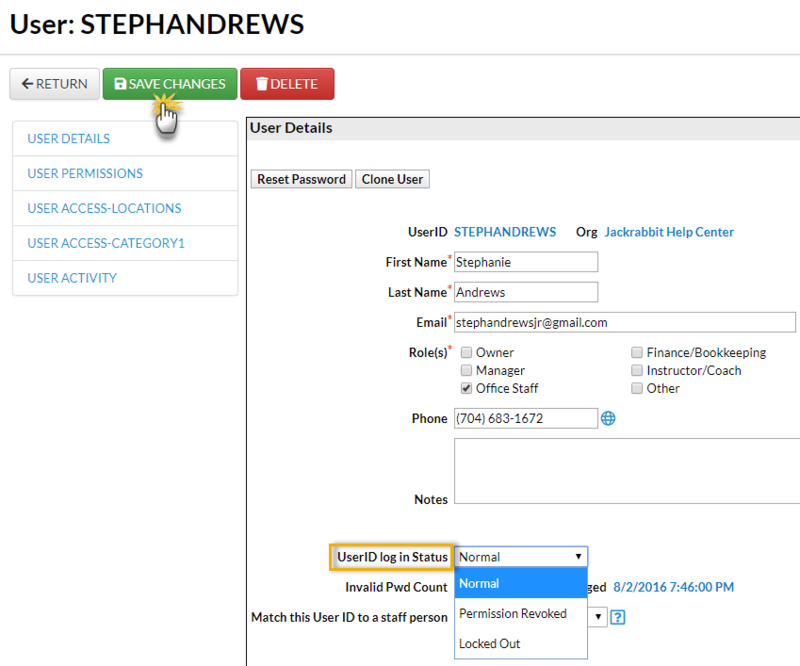 Point to Tools and click Manage Users & Permissions. Click on the User ID that has been locked out. Change UserID log in Status drop-down from Locked Out to Normal. A System Administrator may also choose to revoke a User ID by changing the UserID log in Status to Permission Revoked. Save Changes.